I love plantains and I have made a lot of different foods with it. I can eat plantain raw, that is how bad my obsession with plantains is. I got this idea of trying Kelewele from Aunty Kemi. If you know me, you know Aunty Kemi. She is an amazing person, supportive and gives really loving advice. I always tell her friends that “she is mine.” So recently on her facebook group “So you think you can cook,” a lady posted a picture of Kelewele. Kelewele is a popular Ghanaian street snack made with plantains seasoned with spices; dry chili peppers and salt being the most common ingredient used. Kelewele can be served with peanuts, stew, or rice. I never salt my plantains, but I did with this dish and man, the way the salt married the other ingredients was amaze balls. Without too much stories, let me get to it. This is a spicy Ghanaian street food. peel and cut your plantains into bite sized pieces. 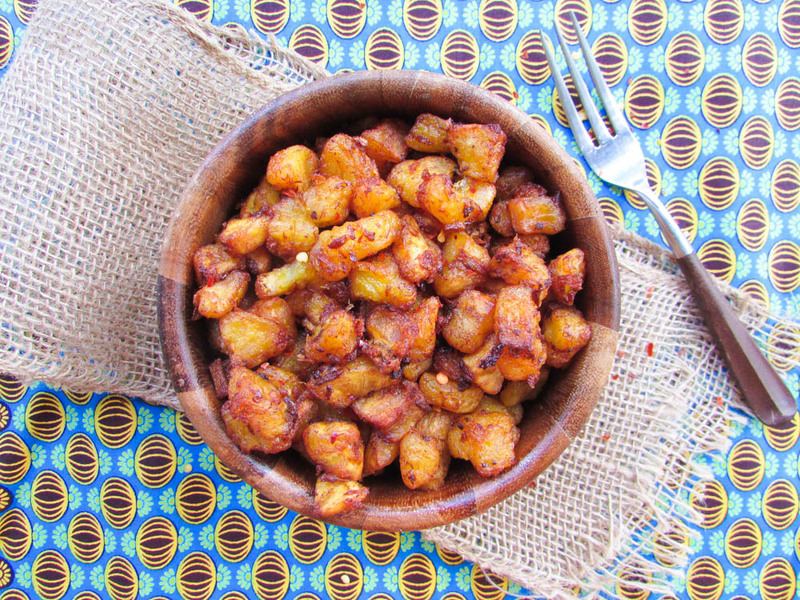 This entry was posted in Uncategorized and tagged kelewele, kelewele recipe, spicy fried plantain recipe, spicy plantains.